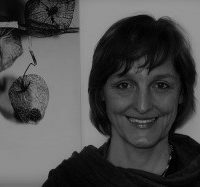 Silke Helfrich works as an independent author, activist and scholar, with a variety of international and domestic partners. She is the editor and co-author of several books on the Commons, among them: Who Owns the World? The Rediscovery of the Commons (2009); Wealth of the Commons (2012); and The Patterns of Commoning (2015). From 1996 to 1998 she was head of the Heinrich Böll Foundation Thuringia and from 1999 to 2007 head of the regional office of Heinrich Böll Foundation in San Salvador and Mexico City. She is co-founder of the Commons Strategies Group and the Commons-Institute.V. and the primary author of the German-language CommonsBlog.